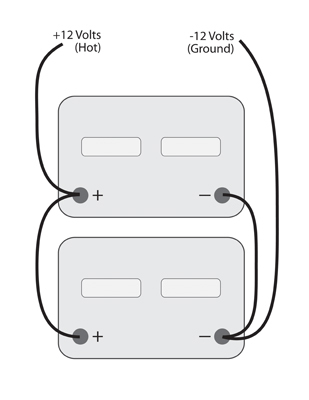 Stan, parallel 12-volt batteries are interconnected by routing a battery cable from the positive post of one battery to the other positive post on the other battery. Same for the negative cable; negative to negative. 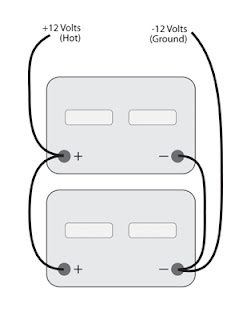 The positive side of the load is then connected to the positive post of one battery and the negative side of the load is connected to the negative post on the other battery. That’s the best scenario for a two-battery bank. But if you have room for two, 12-volt batteries, you will have room for two, 6-volt batteries wired in series. Typically, two 6-volt batteries wired in series will yield a little more storage capacity than two, 12-volt batteries wired in parallel; assuming the batteries have the same footprint. But it’s certainly your choice! 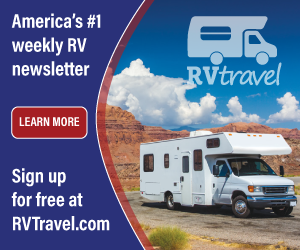 Thanks for the mention of the RVtravel.com Newsletter. Be sure to sign up for the RV Doctor Newsletter too! (Check the upper right corner of this page, second box down from the top).